Gannett stopped the presses on its takeover bid for rival Tronc and in the process put a new era for newspaper moguls above the fold. The deal to combine the publishers of USA Today and the Los Angeles Times would have helped reduce costs amid a relentless downturn. Necessary business-model experimentation, however, works best away from the public markets. The primary reason for the merger’s collapse is instructive. Banks pulled their financing commitments after Gannett turned in weaker results than expected. Investors, too, see little promise in these embattled newspaper empires. The likes of Gannett, Tronc, New York Times, News Corp and Lee Enterprises all trade at less than seven times EBITDA. There’s little in the way of good news. Research outfit Magna forecasts that U.S. newspaper advertising revenue will fall 11 percent from a year ago, to about $13 billion. That’s a fifth of the sum generated back before the likes of Craigslist and Alphabet’s Google started devouring market share. Getting readers to buy online subscriptions is helping, but not enough. Rupert Murdoch’s Wall Street Journal, one of the strongest in digital publishing, is offering a fresh round of newsroom buyouts and considering closing sections of the paper after falling behind budget by 30 percent, according to a report in Politico. Success will require even more radical ideas. That could mean embracing some combination of what Buzzfeed and Business Insider have made work so far: combining populist headlines, slideshows, video clips, aggregated news stories and serious-minded original journalism. Since acquiring the Washington Post three years ago for $250 million and pulling its finances out of the public eye, Amazon founder Jeff Bezos has done something similar in a bid to expand paying readership across the world. Many U.S. newspapers would benefit from a steward willing to sacrifice short-term profit for a longer-term vision. That would herald a return to a bygone era where families like the Chandlers and Bancrofts owned America’s periodicals. It might invite the sort of unseemly situation occurring with casino mogul Sheldon Adelson, who bought the local Las Vegas Review-Journal. At this point, however, it’s a chance many ailing publications probably need to take. The Chicago Tribune building is seen in Chicago, Illinois, United States, May 16, 2016. 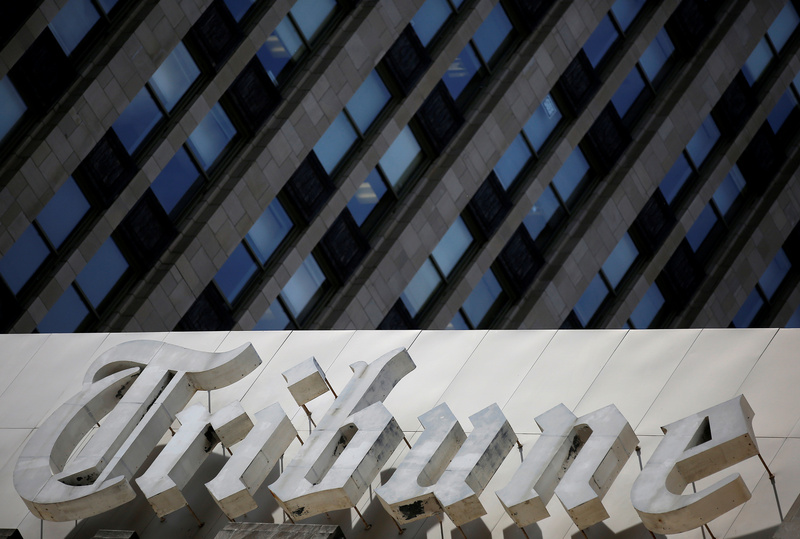 Gannett said on Nov. 1 it was dropping its bid for Tronc, the publisher of the Los Angeles Times and Chicago Tribune.